One of the premiere ecotourism destinations in the world, Monteverde is famous for its cloud forest, as well as the stunning diversity of the plant and animal life that can be found among the lush jungles of the region. 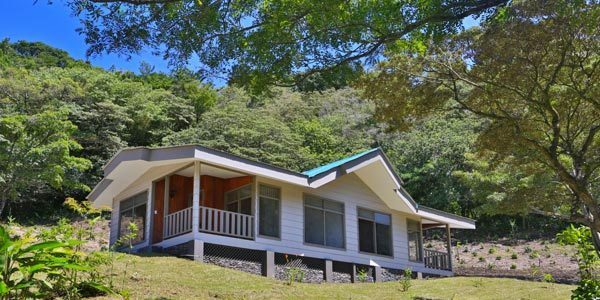 Set in the cloud forests of Monteverde, the El Establo is a large, four-star mountain resort with modern amenities, heated indoor pools, and spa. A luxurious hotel in the unique Costa Rican cloud forest, surrounded by vegetation and wildlife. Enjoy nature in the privacy of your own villa. A great place to relax and unwind after a day full of hiking, birdwatching, and enjoying other Monteverde adventures. Few places of Costa Rica are as beautiful as Monteverde. Although located in the very heart of the country, this is one of its most rugged and isolated parts. But visitors don’t have to sacrifice everything they might expect at luxury hotels in Costa Rica for tranquility. Hotels in Monteverde Costa Rica we work with, have a perfect mix of natural surroundings and luxury amenities. This naturalists’ and birdwatchers’ paradise is home to Monteverde Cloud Forest Reserve. Monteverde is also an adventurers’ dream destination. Here you can experience the longest (1 mile, 1590 meters) and highest canopy zipline in Central America! Accompanied with tarzan swings, rappel lines and hanging bridges, Monteverde is only second to Arenal when looking for the heart-racing activities in Costa Rica. No matter if you come here to experience the sights and the sounds of the untamed nature, or the exciting thrills above the canopy–you are in for a treat. Find below the list of the best accommodations we recommend to our clients. Coming to Monteverde isn’t for everyone. Nature is the king here and it can show off many unpleasant faces—here it can be cold, cloudy, and wet. It is a cloud forest after all. The town of Santa Elena rests on 4,600 ft (1,400 m) and offers basic services and infrastructure. Roads are not the best side of Monteverde and we highly recommend using our private transfers for this reason. Spending hours driving on rough roads, isn’t anybody’s idea of a good vacation. Our drivers know the area well and will stop for a snapshot where you see fit. Meanwhile, you can sit back and relax, enjoying your time with your loved ones. 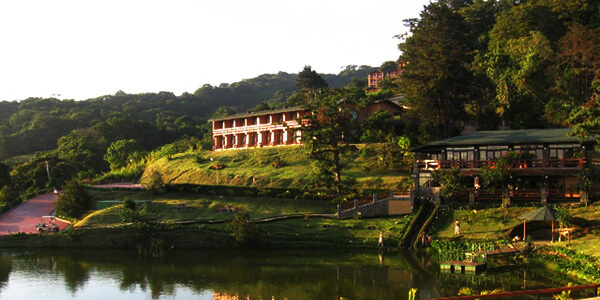 Hotels in Monteverde Costa Rica are nestled in the hills surrounding Monteverde Reserve. They have on-site nature trails through pristine cloud forest, which you can explore on your free time. Eco-friendly, sustainable programs is not just a word on paper here. Monteverde hotels bring to life green philosophy. That’s why all the eco travelers out there appreciate this destination. If unaltered nature of tropical forest is something you want to experience, than this is the perfect place to come! And many after one visit, just keep coming back for more. As this true nature oasis keeps up with its reputation! Call or email us to get more tips on this incredible destination, and find out more about what hotels to book in Monteverde.